Home > News > Public Relations > Fully Responsive, Fully Refreshing! It has taken a lot longer than we had anticipated but we are now proud to announce the release of our new website that we’ve been working extremely hard on behind the scenes. Despite a few setbacks, we now have a website I know that we can be proud of. The new website does away with the “Online Shop” being a separate entity from the main site, and incorporates the two aspects into a fresh design and a fully responsive solution. To those who aren’t too technically savvy themselves, responsive just means that the website will work on Mobiles and Tablets properly, not having to zoom in on a desktop site which clearly wasn’t designed to work on portable devices! If you have ordered from us on our older site, don’t worry,we have imported all customer details over to the new site, however you will have to follow the forgotten password procedure to regain access to your account. When logged in you will be able to view any past orders from the old site, as well as place a duplicate order if you wish. Another big change for us on this website is the brand new Design Service. 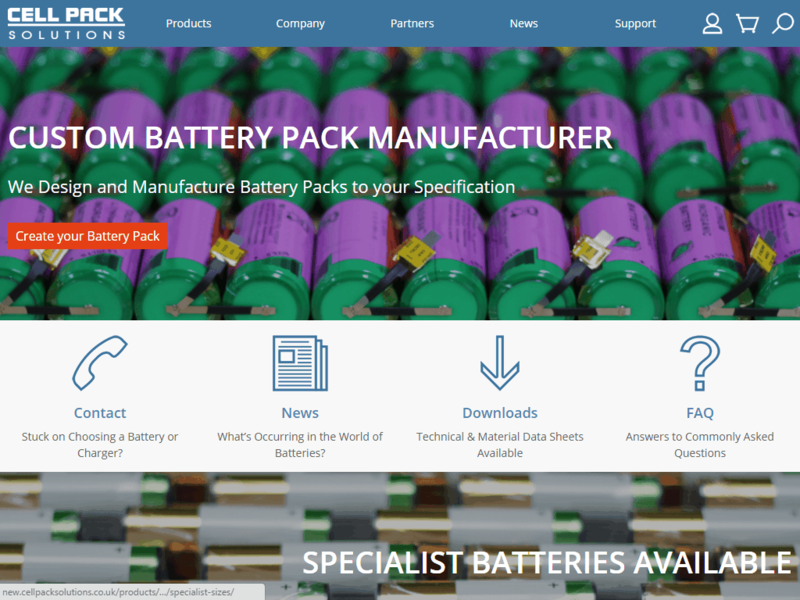 We now offer this facility to our business customers, new or old, which allows them to give us details of a new battery pack online, for us to then follow up before prototyping or a production run begins. Now on to the next redesign! Onward and upward.